Hi there, I hope you are doing well. 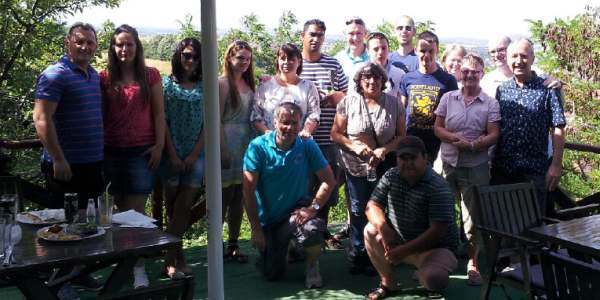 Our team of 10 met up at Gatwick airport for our week's trip on the 9th June. We arrived in Tirana, Albania in the beautiful sunshine and travelled up the new motorway to Gjakove. Two of our team were from Australia, seven from Scotland and me from England. 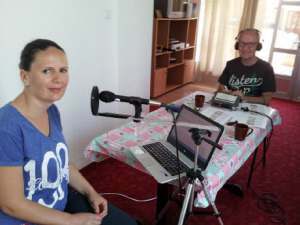 We had an amazing week with the Victory church team in Gjakove. Some of the team had been before and we were all delighted to meet up with the friends we had met before. 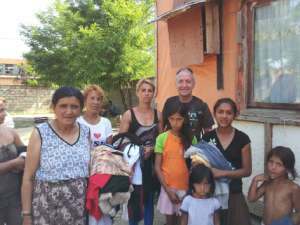 Our plan was to encourage the local church, visit as many poor families in the community as possible, give out clothes, aid, toys and shoes along with our DVDs in the Kosovan Albanian language. 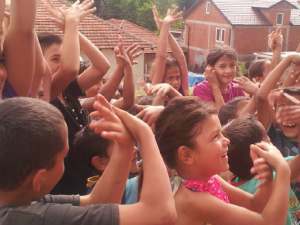 We also visited several Roma camps and enjoyed the games and fun with them. We did kids clubs and youth events in several villages, a widows day and many other activities. Every morning we headed to the local super markets to buy groceries for the families we would visit and then distribute it to the many families in need. We listened to their stories of hardship and lack of resources. Unemployment is still around 65%. Over the past few months thousands of people have left and gone to other countries as refugees to get a better life. Some made it and many others were returned to Kosova. For young and very old people in particular there is much hopelessness. However the good news is that the church there is getting stronger and many people are coming to faith. 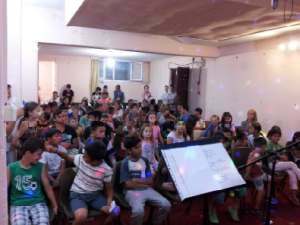 We were so excited to see how many come to the church at all their weekly events, where they are given hope, encouragement and shown God's love in action. Last year we helped send 53 ladies & widows on a special holiday to the sea side in Albania where they enjoyed the fun, fellowship and Bible story teaching sessions. Many had never been outside their own villages before and really loved getting away to enjoy the week with out the stresses of their daily lives. Eight ladies gave their lives to the Lord and now the church ladies group in thriving. We were so pleased to meet many of them on our trip. During the week our team were so impacted by the life of these lovely people there and the struggles the families have. We laughed and cried a lot during our week as we met hundreds of new friends. Thank you to those who prayed for our team as we travelled. We were all so blessed. I also got to make a new recording called "The Living Christ" and this will be produced and distributed on DVD. I'd like to thank everyone who gave clothes, shoes & gifts. Especially I'd like to thank the parents, kids & staff of Holy Trinity Church School for the many shoes they collect for us during the year. Thanks also to our team and the Victory team who were brilliant all week. If you'd like to support any future projects to Kosova please let me know. Many thanks. God Bless you. Kenny. Bye for now and God Bless.